AVG: The Success of Operation Rainfall. The fight for good games was victorious? 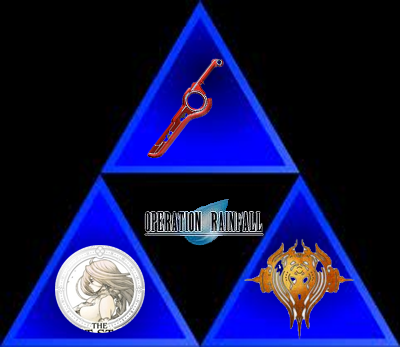 Operation Rainfall was started back on June 23rd 2011 to pressure Nintendo of America to release the three major Wii JRPG's Xenoblade Chronicles, The Last Story, and Pandora's Tower as it was quite apparent that those three titles weren't going to be released in the region. One important piece of information that substantiates this was what Mathieu Minel, who at the time was the marketing manager of Nintendo France said to the press in 2011. Mathieu Minel stated that Nintendo of Europe wanted to show Xenoblade Chronicles at the E3 in 2011, but Nintendo of America wouldn't let them because they didn't want to showcase games that they weren't planning to sell. Mathieu Minel left Nintendo only 11 days later. Operation Rainfall sent letters and emails to Nintendo of America and called their headquarters on the phone constantly as they tried to persuade to company to change their minds and localize these titles. In December 2011 Nintendo announced that North America would be seeing a release of Xenoblade Chronicles, and finally on April 6th 2012, Xenoblade Chronicles was released in "limited quantities" and only sold at Gamestop. Later in 2012 The Last Story was also released in limited quantities, but it was not exclusive to Gamestop. And finally Pandora's tower was released on April 16th 2013 after being delayed from its initial March 26th 2013 release date and this title was also released in very limited quantities. Even though the games were released they didn't receive any marketing and were released in a very limited supply and in the case of Xenoblade Chronicles, limited to be sold by only one retail chain. We can't help, but think that this wasn't a landslide win for the group, but at least we did receive these amazing titles in North America! Do you think that this was a true victory or just a partial victory for Operation Rainfall? Let us know in our comments! Re: AVG: The Success of Operation Rainfall. I dont think they deserve 100% of the credit for it but it was still cool to see all three games come across the board for North America. As you know i'm a proud owner of all three. It doesn't fall into any category of feature series we have so I guess we should just leave it as is. I dont know I dont think Operation Rainfall had anything to do with it, but I know alot of people wont see it that way and I am not going to argue what people believe in. Companies today sell what they want to sell plain and simple if it doesn't make them a profit they wont sell it. No silly petition or boycott or whatever will change their mind. I have a feeling that they planned all along to release them in NA they just were going to take a bit longer and they figured well if anything Operation Rainfall would bring more publicity to these games.